Of our five main senses smell is the strongest. So, how can you capitalize on that? The right cologne, of course. 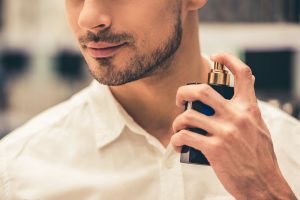 Cologne can make you more attractive in just five seconds. According to many studies, it’s the number one reason why a woman will choose you—or not. So, nope, not your intelligence, humor, or looks. Your smell. It’s all about the smell. But, you see, not all colognes are created equal. Some may annoy her because they’re too strong, which isn’t what you want. In addition to hating how you smell, she may have allergies that your cologne triggers. Not a good look. After much research, it was found there are 10 colognes that will convince her to give you a try. Ranked from the lowest to highest, these are the best of the best. The last three fragrances in this survey tied at the #10 spot. They get tons of compliments from women all over the world and can be easily recognized. They’re common scents and can be purchased in many places. A great thing about them is that you can use them on tons of different occasions. This fragrance is a mixture of grapefruit, blood Mandarin, mint citrus, patchouli, warm cinnamon and masculine leather. Cinnamon is an aphrodisiac, so it will really bring her closer and start your relationship strong. Paco Rabanne comes in this sophisticated, upper-class gold bottle that’ll make you feel filthy rich. With a strong mixture of vanilla and lavender, this is a scent that reminds her of your strength and vulnerability. This will make her want to dig deeper into your life and enjoy the strength that you exude. The One is an extremely complicated and yet, classic scent. It’s a mixture of tobacco, amber, and ginger. This is a long-lasting fragrance and enhances all of your masculinity. She’ll come closer just to smell more. When heading for a night out or favorite outdoor event, these fragrances are a great addition. Because of their long-lasting scent, they’ll hang in the air long after you’ve gone. Translated, The Night of the Man is a fragrance like no other. This fragrance’s name is your mating call because it is known to awaken her sensual side. With its contrasting combination of bergamot, cedar, lavender, vetiver, cumin, and cardamom she’ll be thinking about more than just your scent. If you’re going on the first date or you’re just having an evening date with your love, this is an excellent scent. It doesn’t last too long, so reserve it from one-time events. To get the maximum benefits, you’ll want to respray every few hours. Guaranteed to last about 5 to 6 hours, F by Ferragamo Black will give you lots of time to get her close. With its citrusy beginning that turns into a similar scent as La Nuit De L’homme, the lavender and tonka beans make for an excellent fragrance that won’t offend. F by Ferragamo Black is very affordable and recommended when the two of you are bonding on a date or just lounging around at home. This amazing scent is great during the daytime in spring, fall, and summer. It’s not a sweet scent but fresh like the outdoors. 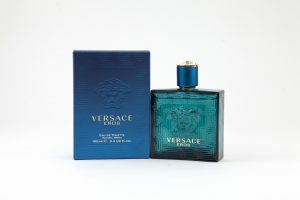 It has a mixture of rose de mai, lemon, neroli, bergamot as the top notes; hyacinth, cedar, clary sage, and geranium as the middle notes; and tonka bean, amber, and musk as the base notes. This large mixture of ingredients is great for the office or just when going out to handle business. Like you, Bleu de Chanel is a ladies’ man. This fragrance has gone down in history for converting lonely bachelors into lonely beaus. Just kidding, you just may find the woman of your fantasies with this scent. Boasting a tolerable scent that’ll be welcomed by everyone around you, Bleu de Chanel is spicy, fresh, and woody. With these many different fragrances, she won’t know this all-in-one scent is moonlighting as Cupid. Packed with an awesome blend of citrus, incense, and grapefruit, just apply in the morning and subliminally woo her for the entire workday. As original, as you are, A*Men Pure Malt isn’t so innocent. Its complicated scent is inspired by methods used to make whiskey. There won’t be too many guys rocking this fragrance aged in oak caskets and filled with sweet, woody, spicy, and malt ingredients. With a seductive and subtle tap on her nose, she’ll be yours. In a poem by Hesiod, the Greek God, Eros, began as a primeval God, the “emptiness of the universe”. Through tradition, he morphed into the son of Aphrodite and ruled the realms of passion and fertility. Eros’s blend of tonka bean, mint, and vanilla will pull her close with its magnificent mixture of soft and hard scents, all through the day, night, and every season. Sauvage means wild and this fragrance will deliver. It smells like fresh laundry, and yes, women do adore this scent. On a magnificent summer day, spray some of this long-lasting mixture of pepper, bergamot, and ambroxan on. When she gets a whiff, you may not make it outside. Derived from the #1 selling cologne of all time, Aqua Di Gio Profumo is better. With the characteristic scent of its predecessor, a longer-lasting fragrance, and created to mimic the smell of the Mediterranean Sea, this fragrance will boost your sexiness by hundreds. Made of a complicated blend of citrus, sage, geranium, rosemary, patchouli, and incense, this uber-masculine scent will transport her into your arms. Easily the top of this list, this fragrance is backed by both men and women. Whether you’re traveling, dating, or hopping from social event to social event, Aventus is there all year long in any season. This long-lasting sweet and woody mixture of birch, musk, and pineapple, will complement your own masculine scent, perfectly.